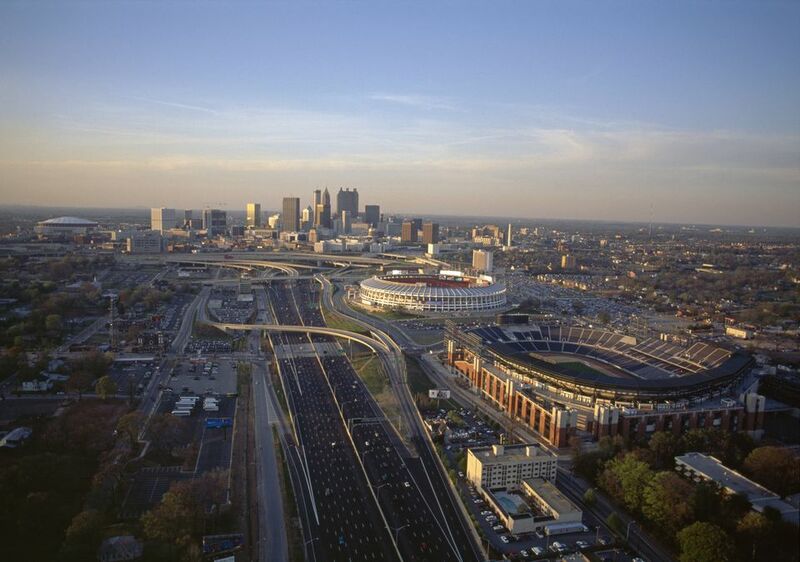 Sports fans have plenty of choices for great sporting events in Atlanta. This listing provides basic contact information for Atlanta's pro teams and information about their home venues. The Atlanta Braves (Major League Baseball—National League) moved to Atlanta from Milwaukee in 1966 and Atlantans have been passionate fans ever since. Home games are played at SunTrust Park, which offers year-round tours, an interesting activity in addition to attending a game. The Atlanta Falcons (National Football League—NFC South Division), Atlanta's professional football team, play their home games at Mercedes-Benz Stadium, a multi-purpose retractable roof stadium. Tours are available seven days a week. The Atlanta Hawks (National Basketball Association—Southeast Division of the Eastern Conference), Atlanta's professional basketball team, play their home games at State Farm Arena.